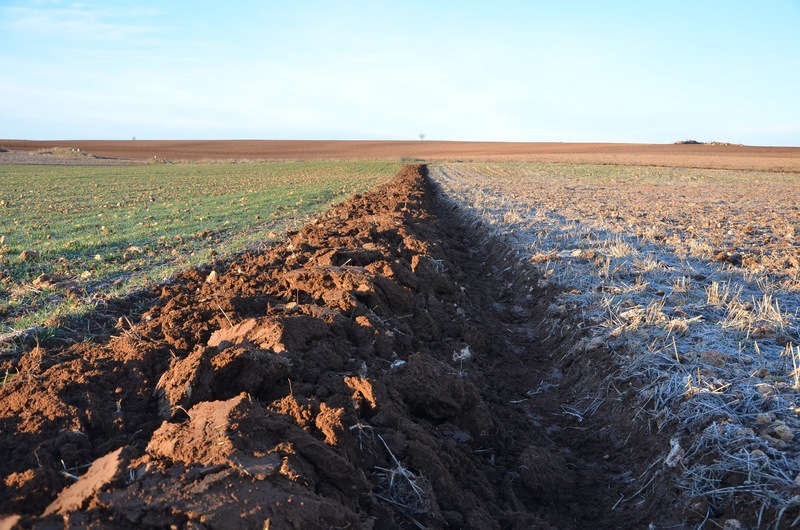 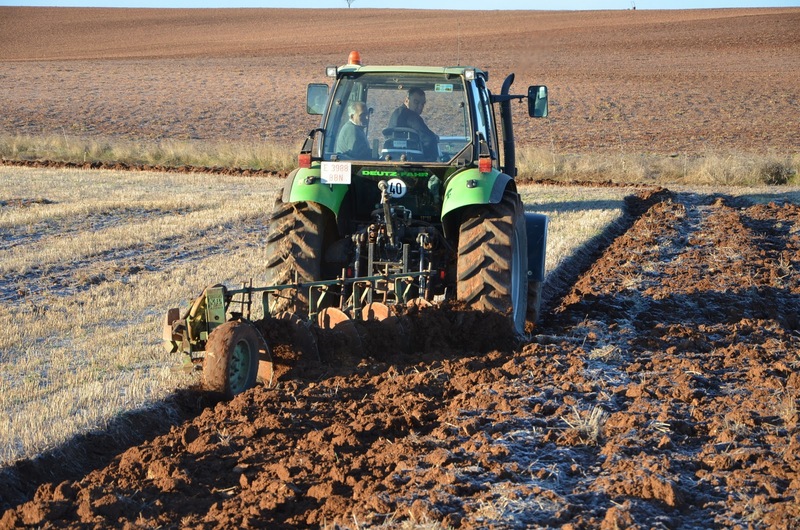 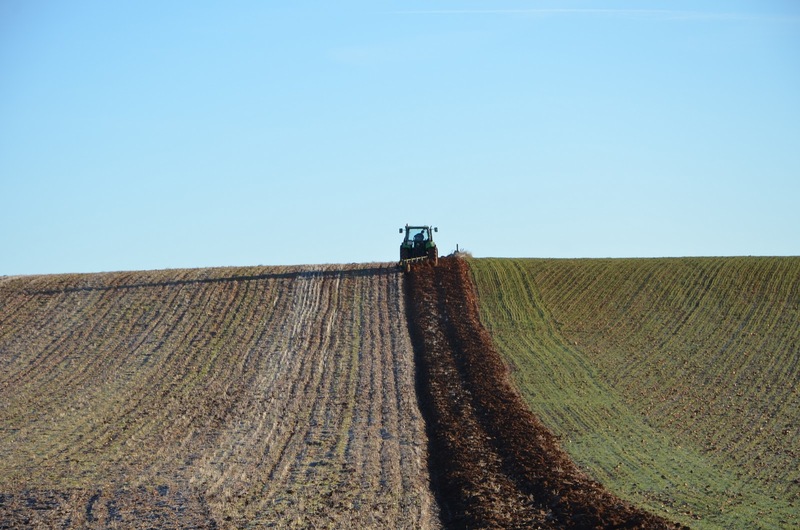 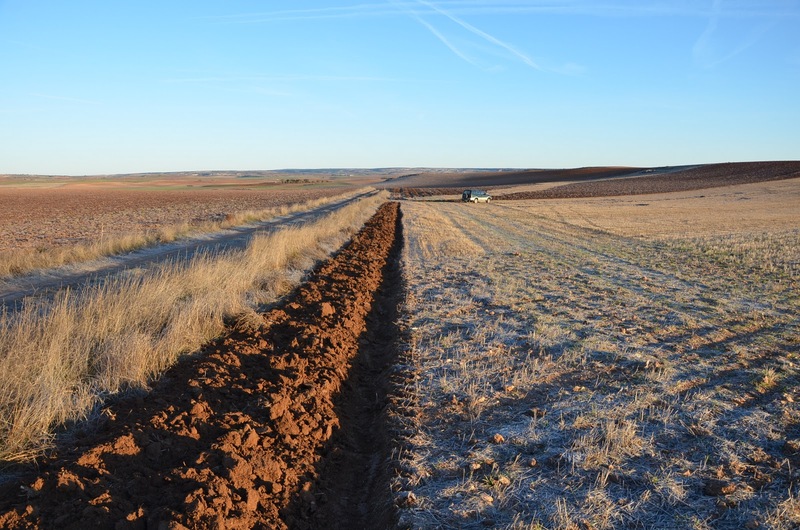 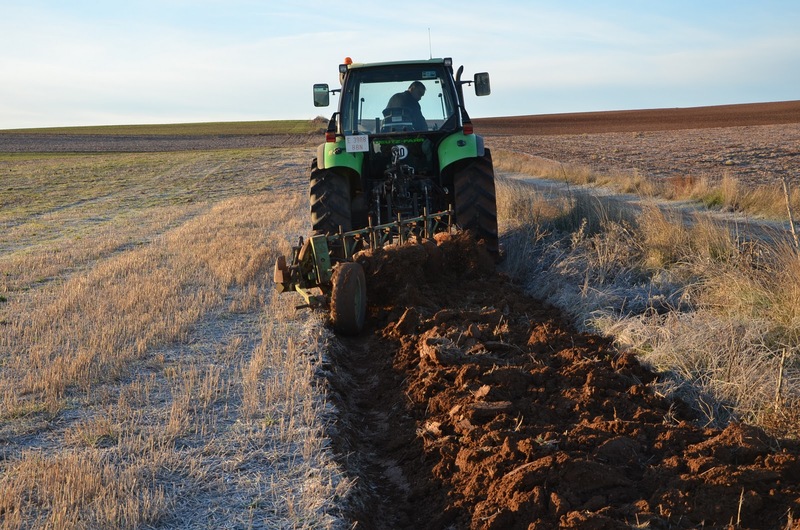 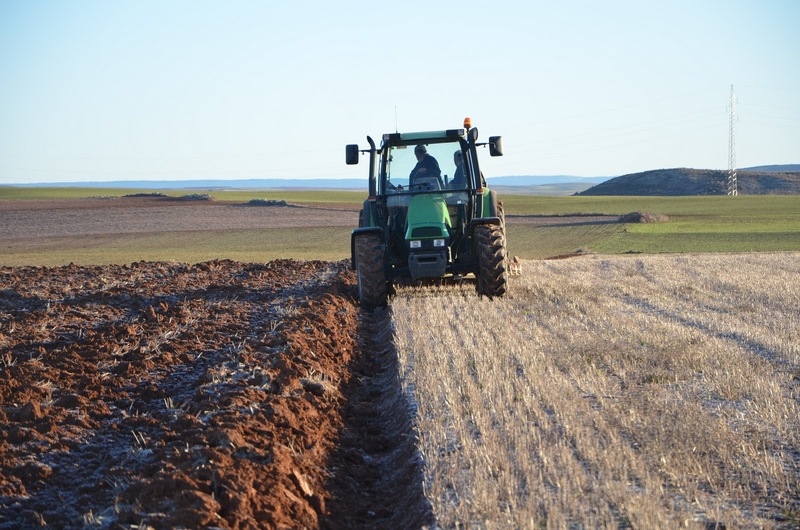 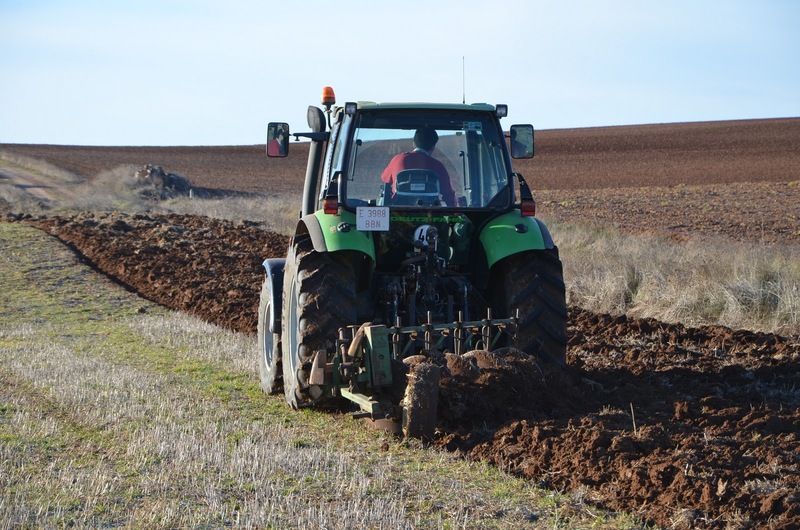 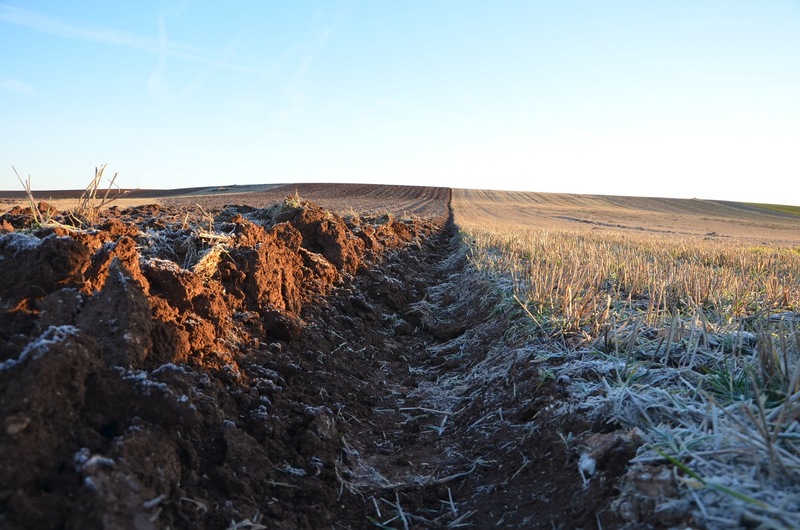 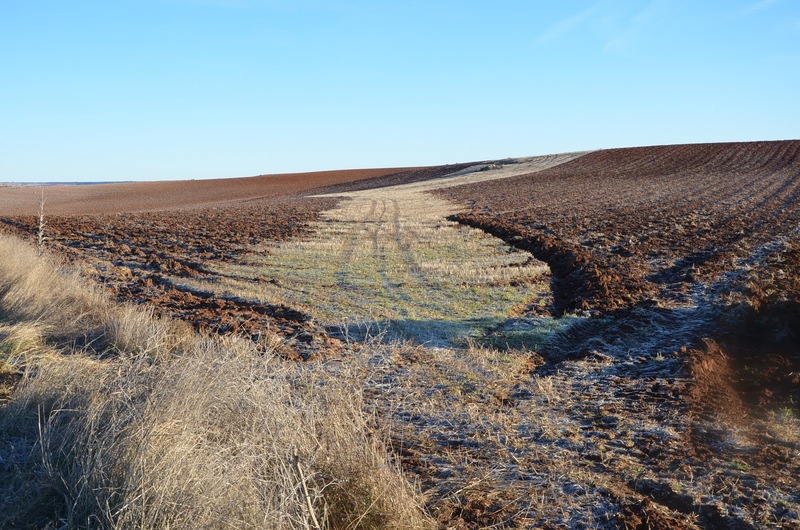 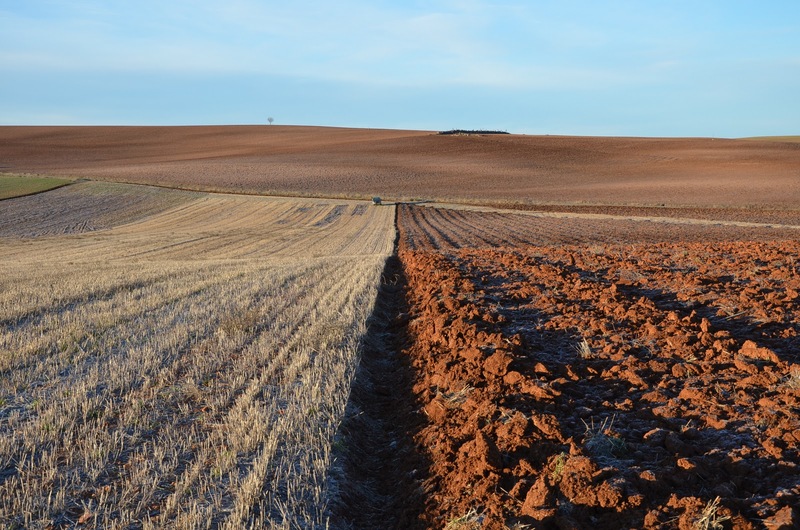 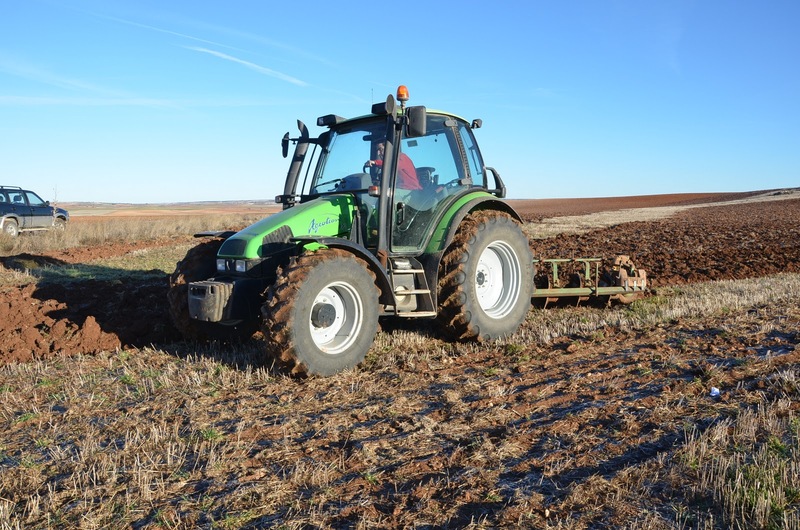 Once we finished to sow cereals and garlic, we harvested olives and Christmas time has passed, it is the moment to prepare soil with the aim of sowing sunflowers in April. 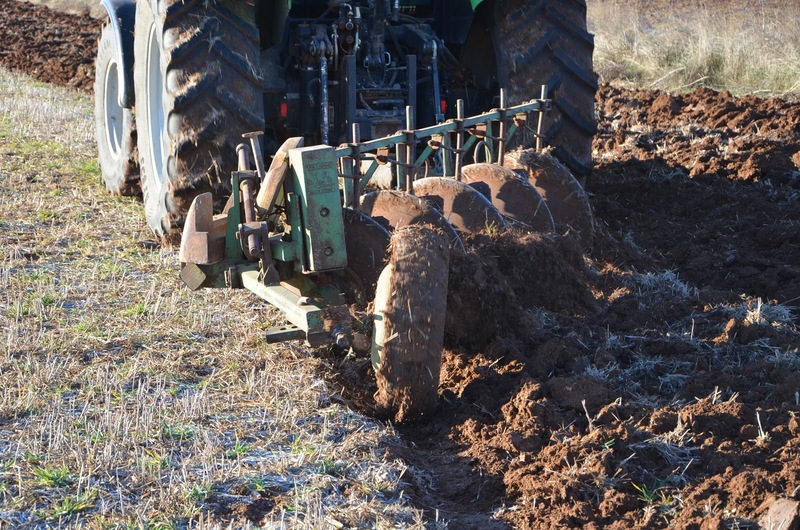 A big working depth is required to do this task, so we cannot do it with chissel firstly. 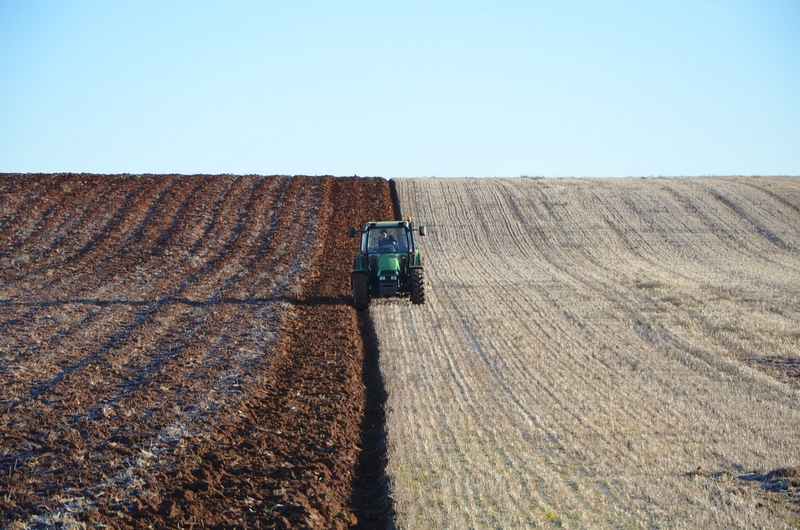 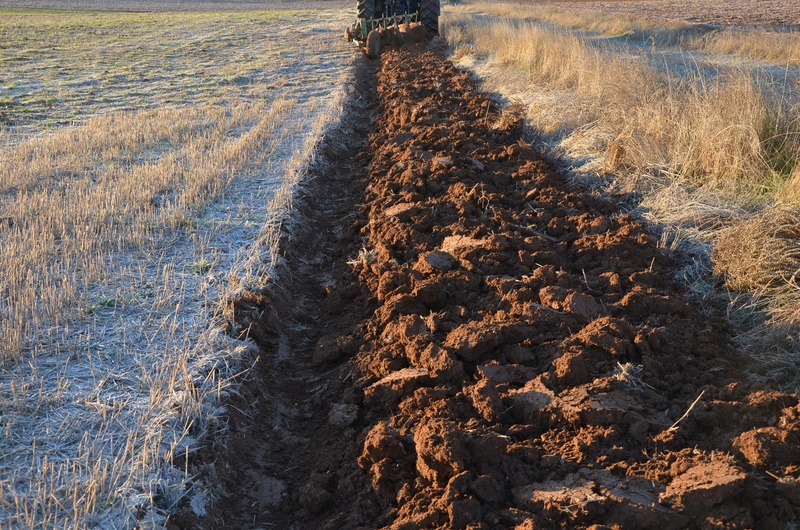 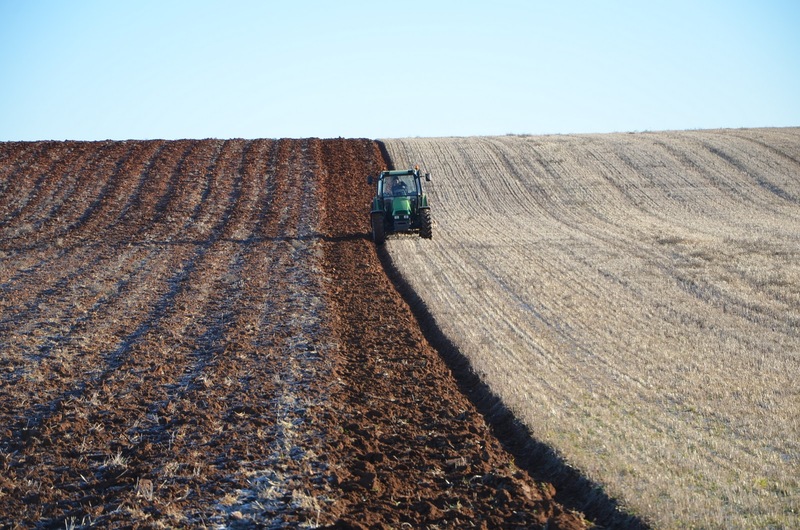 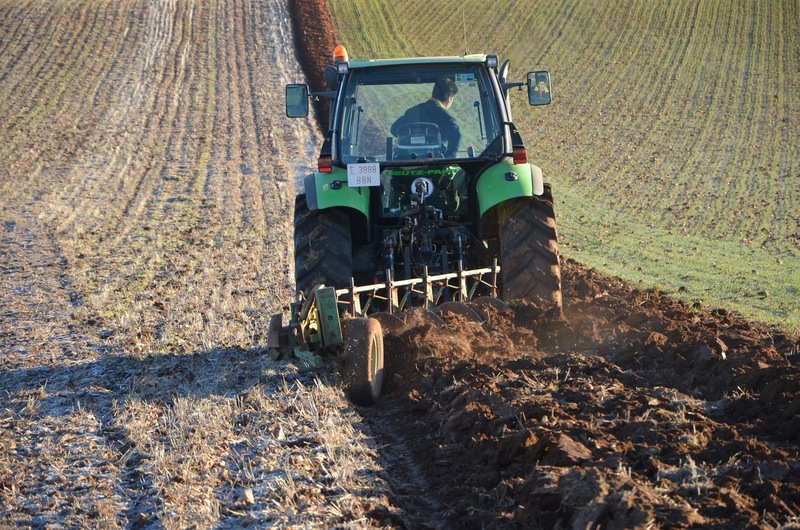 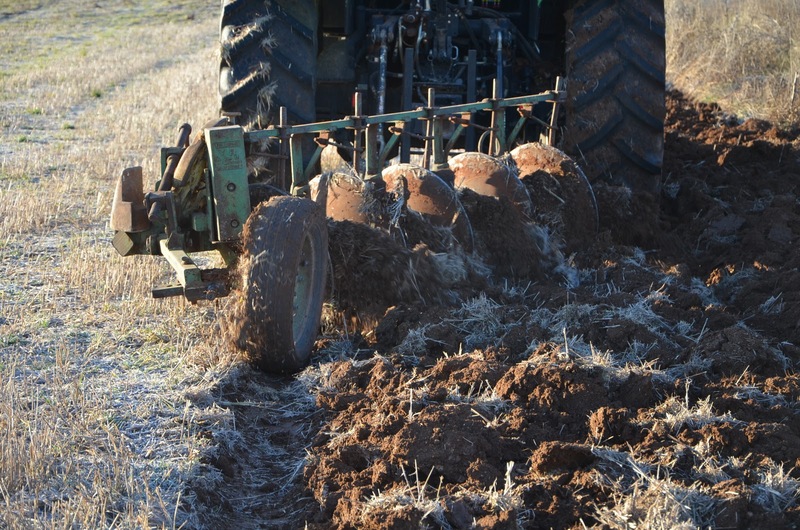 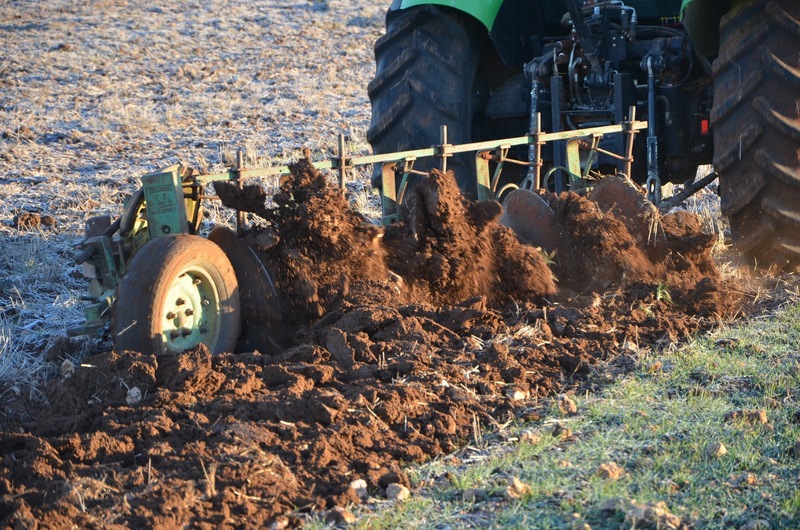 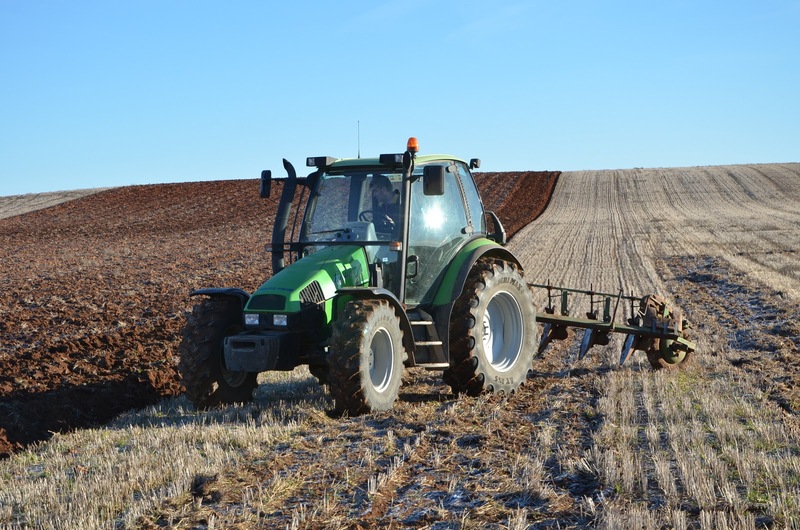 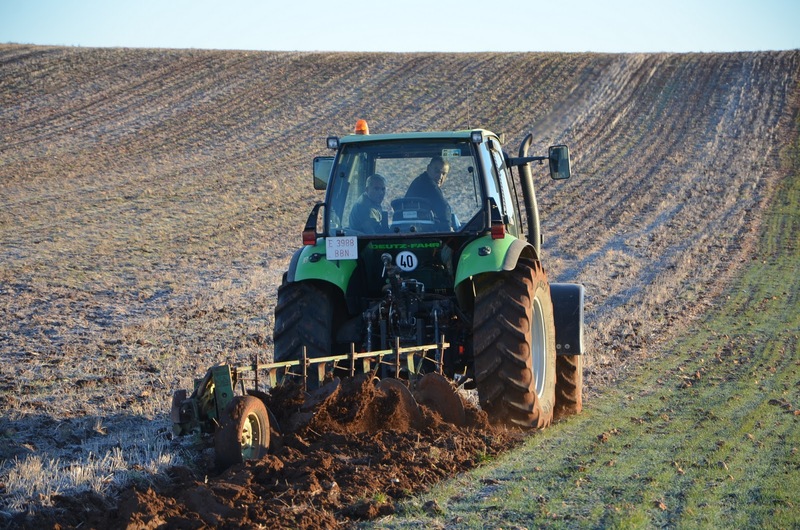 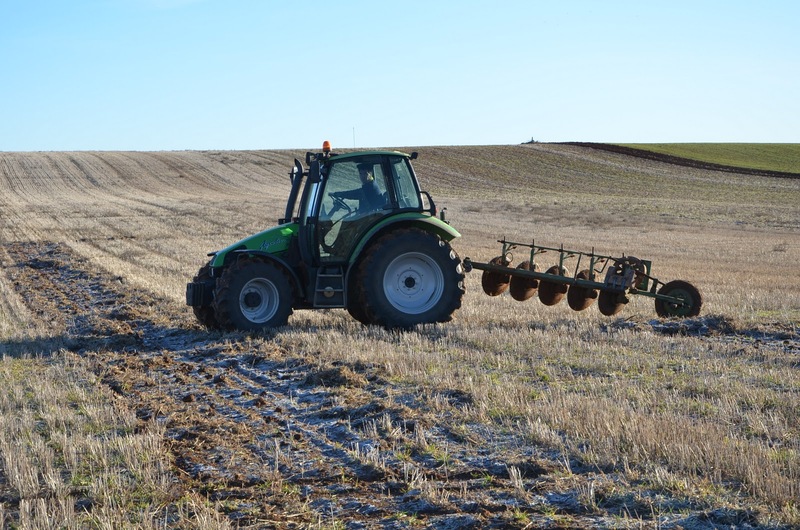 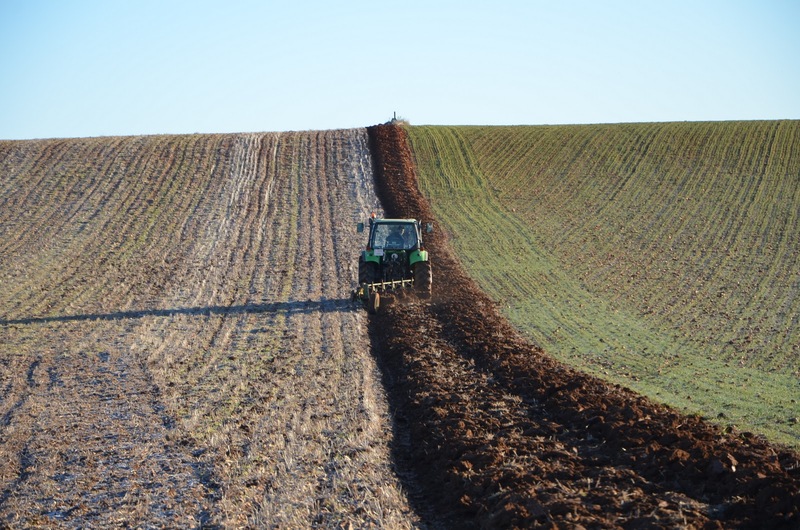 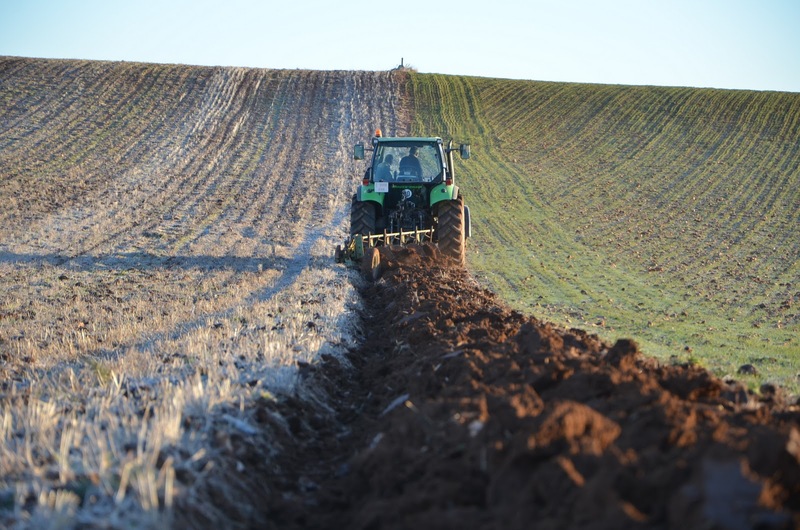 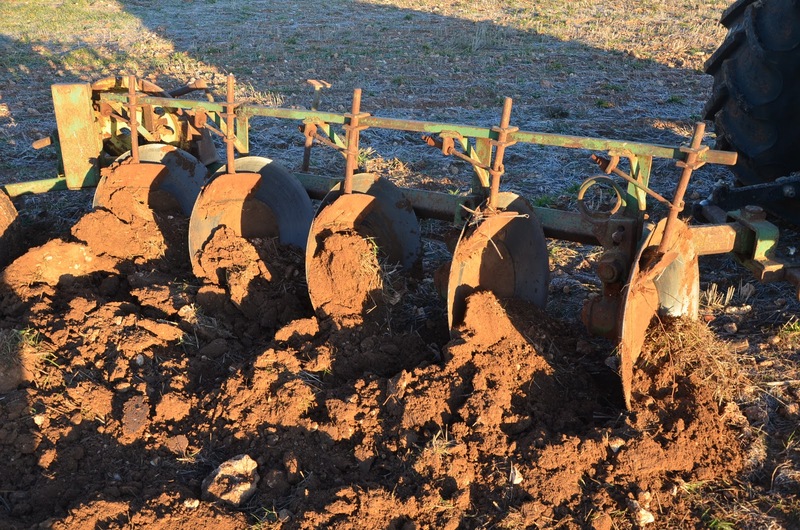 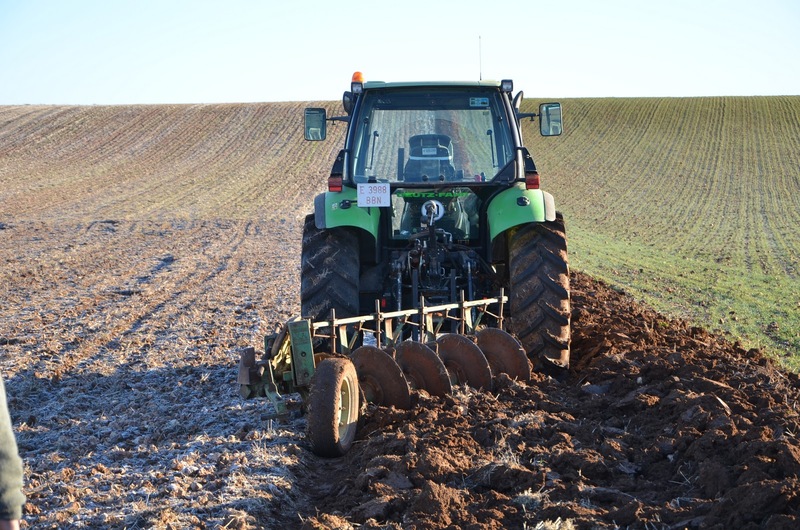 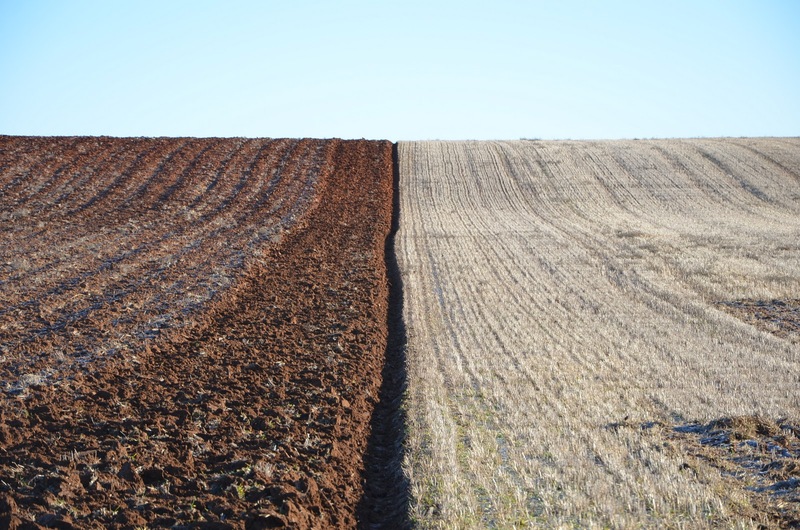 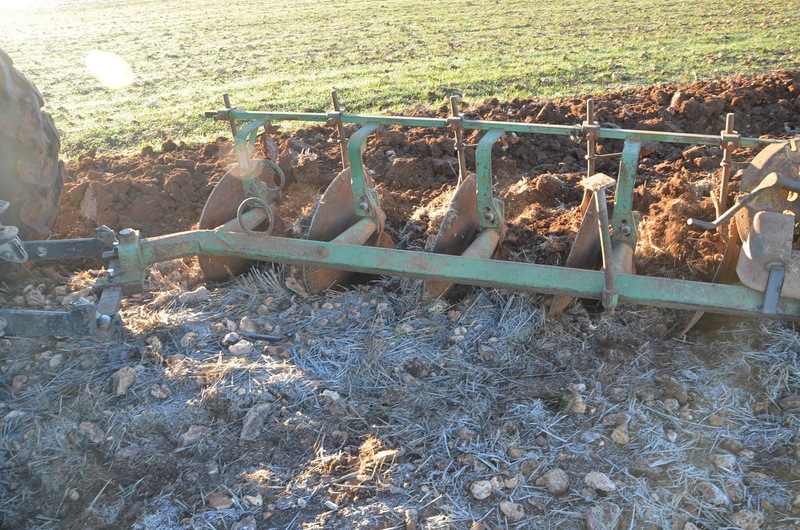 We use a disc ploughs tool we can have about 25cm of working depth with. 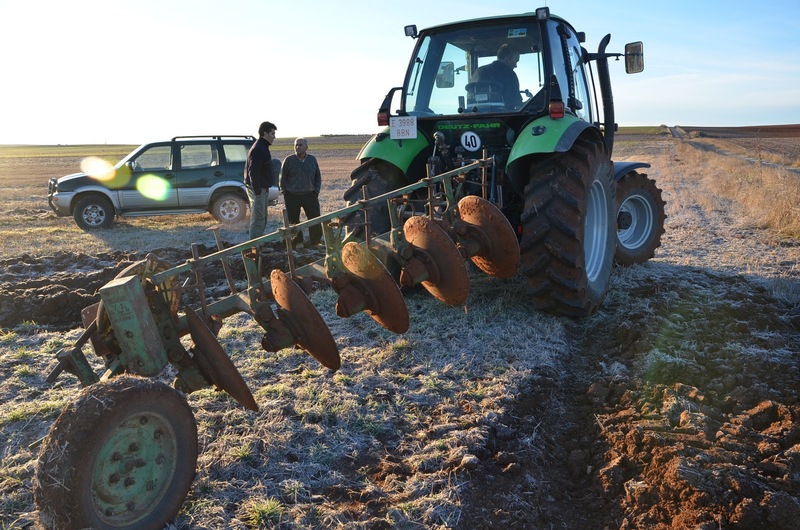 With this tool the soil is really turned and it allows us not to have to work again few days before sowing sunflowers. 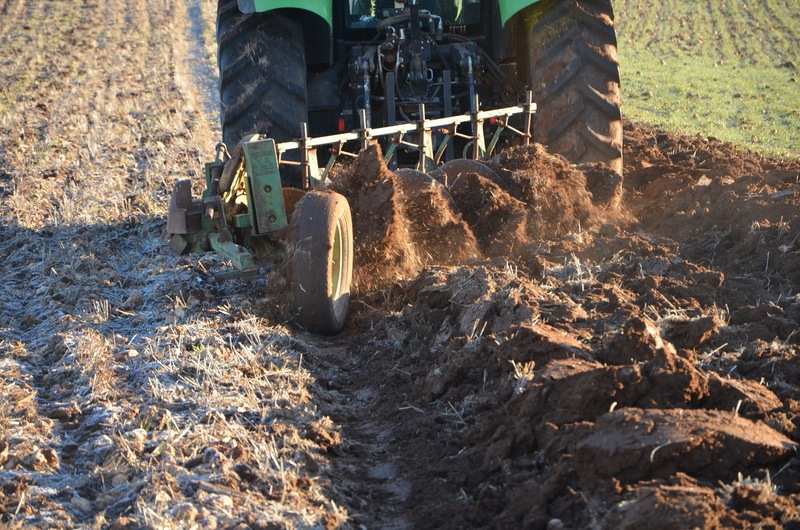 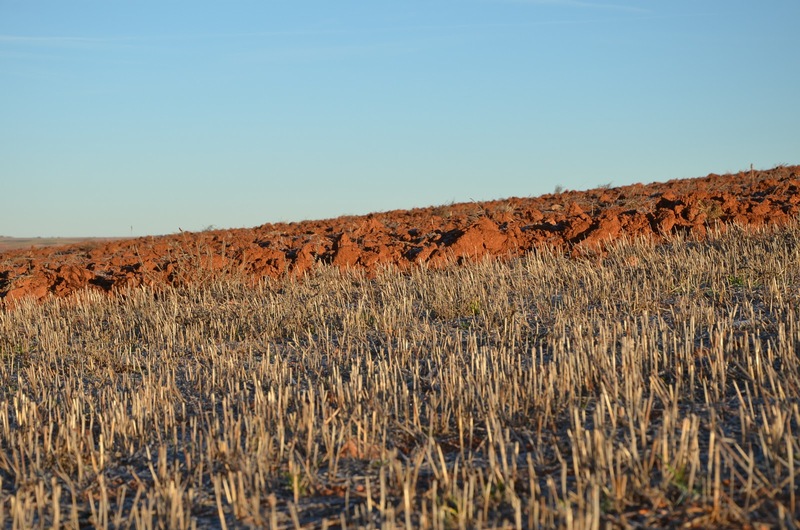 This tool has another advantage: it is self-cleaning so it allows us to work without problems in our soil which is really sticky.